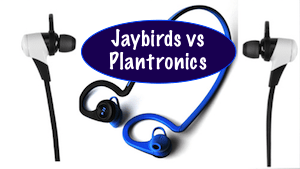 Here’s an indepth comparison of Jaybird BlueBuds X vs Jaybird Freedom Sprint Headphones. 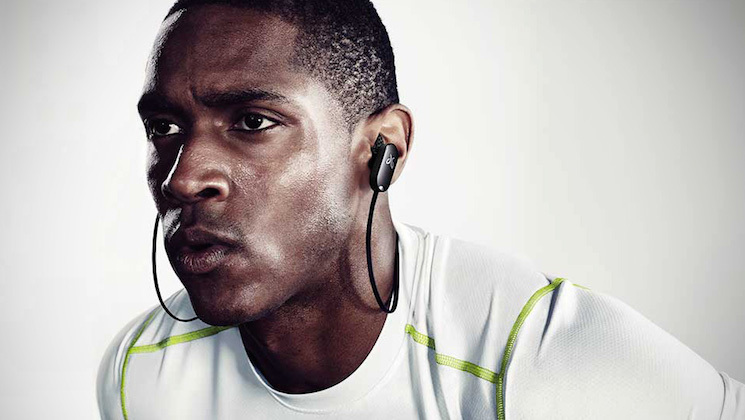 Jaybird dominates a big segment of the market for sports headphones. 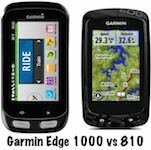 With good reason, as they are quality products that are loved by millions of users. However, the Jaybird Freedom Sprint headphones are (usually) quite a lot cheaper than the BlueBuds X. So the question is, will the Jaybird Freedom Sprint be good enough for you? Jaybird BlueBuds X vs Jaybird Freedom Sprint #headphones – which ones are for YOU? 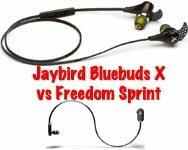 This table compares JayBird BlueBuds X vs JayBird Freedom Sprint. The table shows that the JayBird Freedom Sprint has some problems that are corrected with the Jaybird BlueBuds X. Battery Time: Battery time is only about 4.5 hours, which can leave you with no sound in the middle of the day. These headphones get pretty much exactly the time claimed on the box: 8 hours. This is a very good length of time from one charge, and will get most people through the working day, or through the night. Bluetooth Connection to your smart device: Connectivity is not great. I often found that when I was walking around downtown with them, the sound would cut in and out. JayBird has obviously improved the technology, because with the Jaybird BlueBuds X the connectivity is excellent. The improved connection is due to JayBird's patented system "Signal Plus," which delivers skip-free connectivity. It definitely works. Low Battery Alert: Low battery is indicated by the status indicator blinking red and beeping every 20 seconds, which is just plain STUPID as it prevents you from using the headphones any more. With JayBird BlueBuds X Premium, instead of a repetitive, intrusive beep, a rather lovely, mellow female voice tells you that "Battery is low", and then she SHUTS UP about it. This gives you another 20 minutes of listening time, before she sweetly says "Power off." Apparently this voice is called Jenna. I like her MUCH better than the ear-splitting beep. Also, the Bluebuds X have a tiny battery indicator that shows up on your smart device. 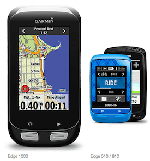 Hand Controls: These are very tiny on the Jaybird Freedom Sprint. Hand controls are much improved on the Bludbuds X – I can even control them with light-weight gloves on. I have discovered I can work the hand controls with my mouth when needed. 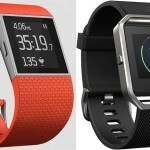 Communications: With the Jaybird Freedom Sprint you have to figure out their status (one or off, connected or not connected) by trying to see tiny little lights. It is often hard to tell if the headphones are on, or if they are connected to your smart phone. With the Jaybird Freedom Sprint, I was always peering at the tiny lights, trying to figure out what was going on. The Jaybird BlueBuds X communicates with you via the voice of Jenna. She tells you "Power on" when you switch on, and then "Headphones Connected" when they're connected, cutting out the guesswork. And of course she also gently warns you when power is low. This is a VAST improvement. Ear fit Comes with three sizes of soft, removable tips. Comes with three sizes of soft, removable tips. Immersive sound? 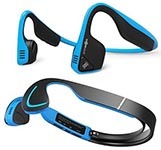 Yes, they are designed to block out ambient sound and immerse you in your own sound. Good if that is what you want; might be unsafe for outdoor athletes. Yes, they are designed to block out ambient sound and immerse you in your own sound. Good if that is what you want; might be unsafe for outdoor athletes. JayBird BlueBuds weigh in at almost nothing (13.8 grams; less than an oz). JayBird claim these are the world’s smallest headphones, at 13.8 grams. It is true that they are very tiny, yet deliver amazing sound. The JayBird BlueBuds X Headphones are definitely lighter than the Freedom Sprint, which weigh 16 grams. 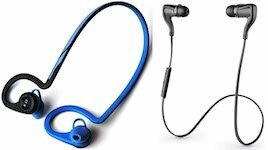 So in terms of weight, the JayBird BlueBuds X Headphones are better than the Freedom Sprint headphones. However, it is a tiny difference. 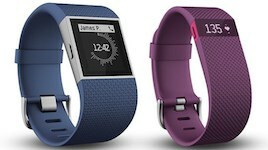 Oddly, although the Bluebuds are smaller, their controls are easier to work than the controls on the Freedom Sprint. The JayBird BlueBuds X Headphones and the Freedom Sprint are both designed to block out ambient sound, giving you an immersive sound experience. This can be great in situations such as on pubic transit, or in a busy work place where you don’t need your ears for safety purposes. This is very different on these both sets. Both have non-replaceable lithium batteries, but the BlueBuds X has a very impressive 8 hours of listening time, while the Freedom Sprint only has4.5 hours. As most people are out of the house for longer than 4.5 hours at a time, this could be a problem. To make matters worse, the Freedom Sprint beeps at you in an irritating way when the battery is low, rendering the headphones useless for their last 20 minutes of battery life. The BlueBuds just has a mellow “Jenna” voice which warns you once that you are low on batteries, and then shuts up. Charge time is similar, about 2.5 hours. Jaybirds are definitely better than Freedom Sprint on this one. Both of these headphones are waterproof, but only the BlueBuds X come with a lifetime sweat guarantee. However, bear in mind that the batteries only last at most two to three years, and cannot be replaced. So that’s a pretty short “lifetime” guarantee. This is of course somewhat subjective. Still, most people would agree that the sound is a lot better on the BlueBuds X, which have a truly amazingly good sound for such tiny headphones. On this, the fit of the BlueBuds just feels a little cushier and seems to have more quality. Also, the BlueBuds X has little comma-shaped ear cushions that are supposed to hang onto your ear and prevent the headphones falling out of your ears. Apparently many people find these useful, although I personally am not crazy about them. BlueBuds X claims to have the best fit in the world. They come with small, medium, and large foam ear tips, so one of these may turn out to be a perfect fit for your ears. 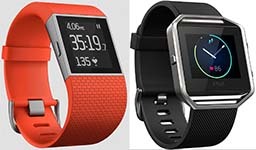 In fact, JayBirds have won awards for their secure fit. Both have built-in microphones, and they work really well on both. Both sets have very tiny controls, but I find the JayBird headphones slightly easier to work. BlueBuds win this one (narrowly) for being slightly easier to use and having one extra function. My experience of JayBird headphones is that they are quite delicate and that you have to treat them with gentle, loving care. 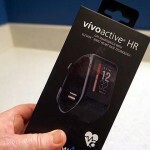 I would apply this to both the BlueBuds and the Freedom Sprint. I find pairing to be seamless with the JayBird headphones and the Freedom Sprint. The Bluetooth pairing for both was quick and easy to set up, and there is almost instant pairing every time I switch them on. No complaints here. However, I find the Freedom Sprint are much more likely to lose their Bluetooth connection than are the BlueBuds X. The improved connection is due to JayBird’s patented system “Signal Plus,” which delivers skip-free connectivity in the BlueBuds. It definitely works. On this one, it is a clear win for the improved technology of the BlueBuds X over the Freedom Sprint. The technology for the BlueBuds to communicate with you is light years ahead of the Freedom Sprint. The BlueBuds has a lovely “Jenna” voice which tells you all you need to know – such as whether your headphones are on, whether you are connected, etc. On the other hand, you have to try to see if the Freedom Sprint are on by peering at tiny little lights. A hands-down win for BlueBuds X on this one. The Jaybird BlueBuds X are significantly more expensive than the Freedom Sprint. But we believe they are well worth it. The BlueBuds X are the clear winners of this comparison, as you can see from the table. If you want the best, get yourself a pair of Jaybird BlueBuds X headphones. Note that you can also pay more to get a pair of Jaybird X2, but as I explain in this post, these are more expensive, but almost exactly the same. Related: Comparison of the Jaybird BlueBuds X with the brand new JayBird X2 – there’s been a lot of HYPE about the X2, but this post will surprise you with the cold hard FACTS.